A handful of cruise lines and maritime companies work with maritime colleges to offer cadet training programs otherwise known as cadetships. A cadet training program combines a maritime education with sea time in three different programs, Deck Cadet, Engine Cadet, and Electro-Technical Cadet. A limited number of applicants are awarded a cadetship after passing an assessment. 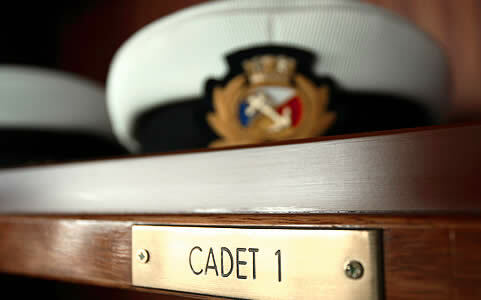 Princess Cruises is continually recruiting cadets from the UK and Europe. They offer three-year cadetships for approved applicants. They work with a number of colleges throughout the UK and Italy. UK and Irish applicants interested in the Deck, Engineer and Electro-Technical Cadetship Program, should submit their CV to Princess Cruises’ Southampton office. Alternatively, applicants from Italy, Eastern Europe and Western Europe should submit their CV to Princess Cruises’ hiring partner in Napoli, Italy. Viking Recruitment is the authorized recruiter for Holland America, Seabourn Cruises, and Windstar Cruises. Viking Recruitment owns Chiltern Maritime, a marine cadet management company. For cadetships with their clients, visit their Chiltern Maritime website. The Maritime London Officer Cadet Scholarship (MLOCS) is a charity which provides the funds to enable young people to undertake the three to four years’ training required to become a Merchant Navy deck, engine, or electro-technical officer. The charity currently has 20 cadets aged between 16 and 23 at various stages of training. MLOCS training is undertaken by Chiltern Maritime both at sea and at colleges in Glasgow, South Shields (Newcastle) or Warsash (Southampton). Training courses begin in either January or September of each year. Each cadet is funded throughout their training by a named corporate sponsor. Sponsors are involved in the cadet selection process and each cadet liases with their sponsor throughout their training. The Trinity House Merchant Navy Scholarship Scheme is a cadet scholarship scheme available for UK residents providing financial support for young people seeking careers as officers in the Merchant Navy. Trinity House provides major grants to maritime organizations engaged in welfare provision, education and training and the promotion of safety at sea. It is through this charity that the Trinity House Merchant Navy Scholarship Scheme is funded.